Beautiful bathing babes! are here to help you create and complete your beach layouts. 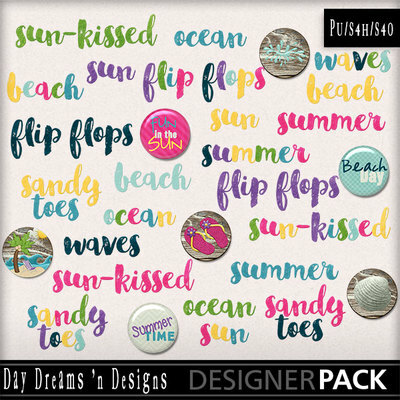 In all the bright, primary colors of nature in the summer, plus pretty pastels for gals, this delightful offering will engender its own fond memories of GIRLS AT THE BEACH. This is the wordbits only, see kit or bundle for complete collection.